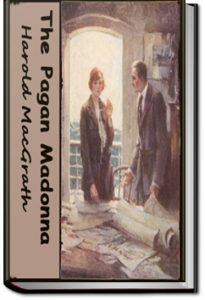 The Pagan Madonna, one of Harold MacGrath’s numerous novels, set in Shanghai, tells a story of intrigue, murder, and illicit art “collecting.” The paths of Jean Norman, a Red Cross nurse from the United States, Ling Foo, a shifty pawn shop keeper, and Anthony Cleigh, millionaire art collector, cross and recross in growing intrigue over a string of beads. It is a world where “. . . every move you make is governed by Chance–the Blind Madonna of the Pagan . This entry was posted in Reading on June 4, 2017 by all-you-can-books.